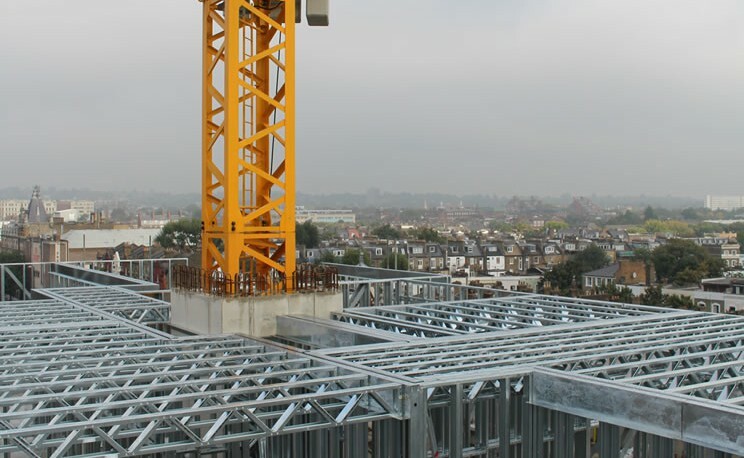 This new build residential block of flats in north London, which overlooks the emirates stadium and adjacent to Holloway Road tube station, is a partnership project for Rooff and the Scout association Trust. 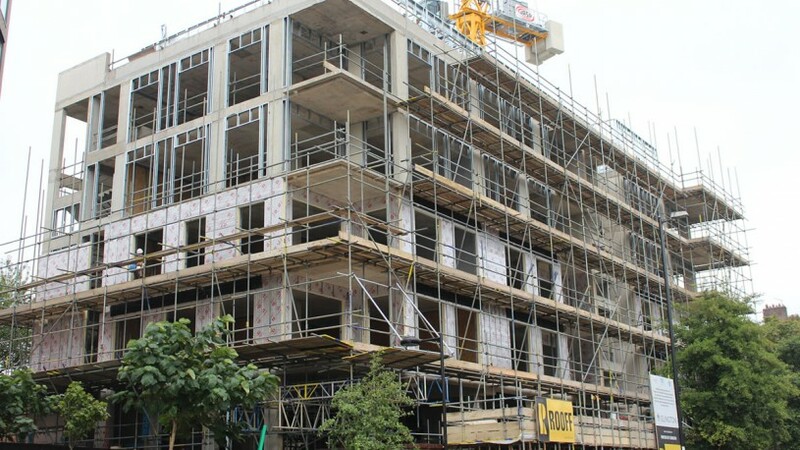 There are 34 apartments being built in concrete frame with Structural steel frame (SFS) Infill, with celotex insulation that was value engineered to reduce thickness and overall cost, brick tie channel and brickwork external façade (by others). 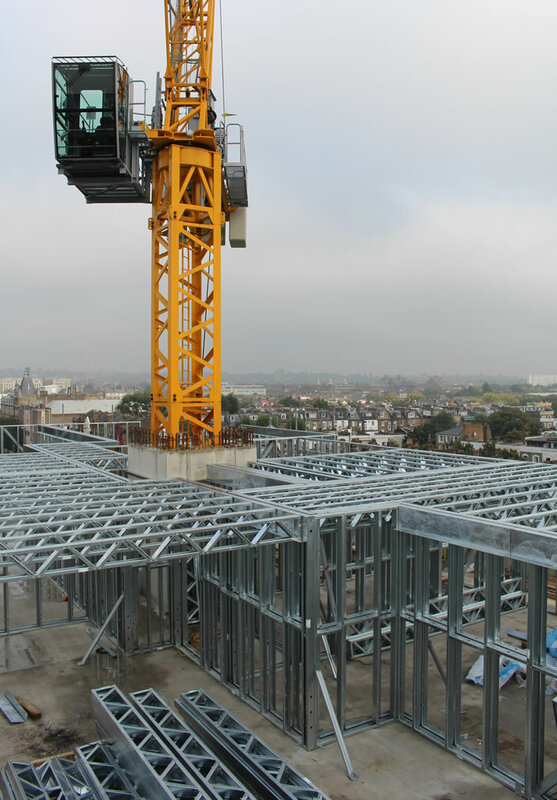 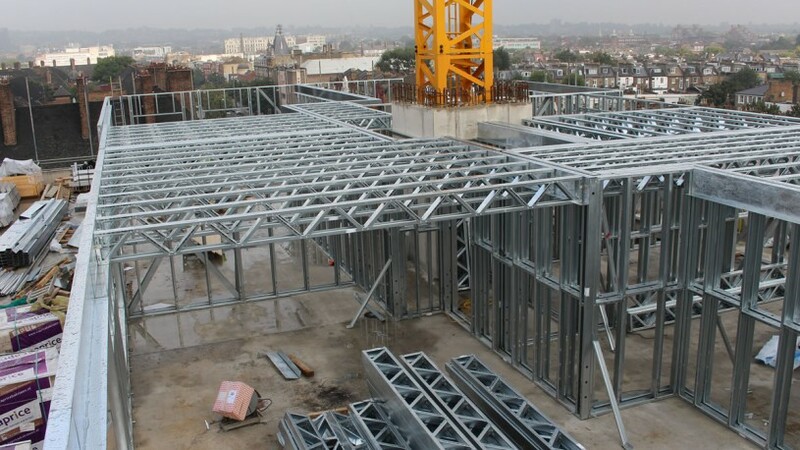 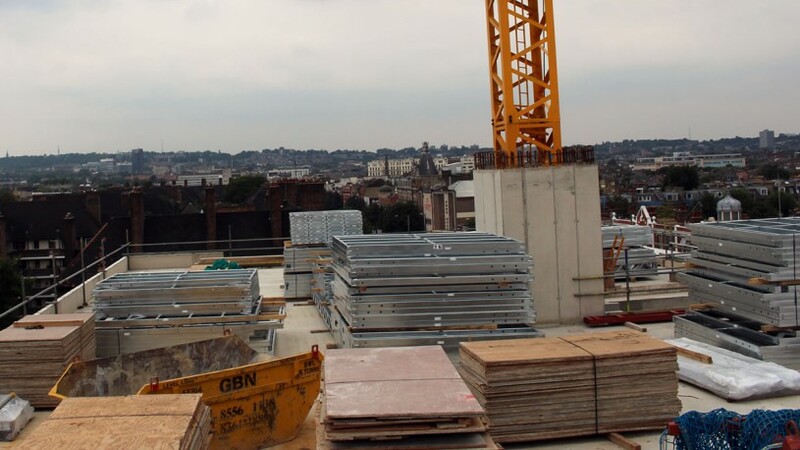 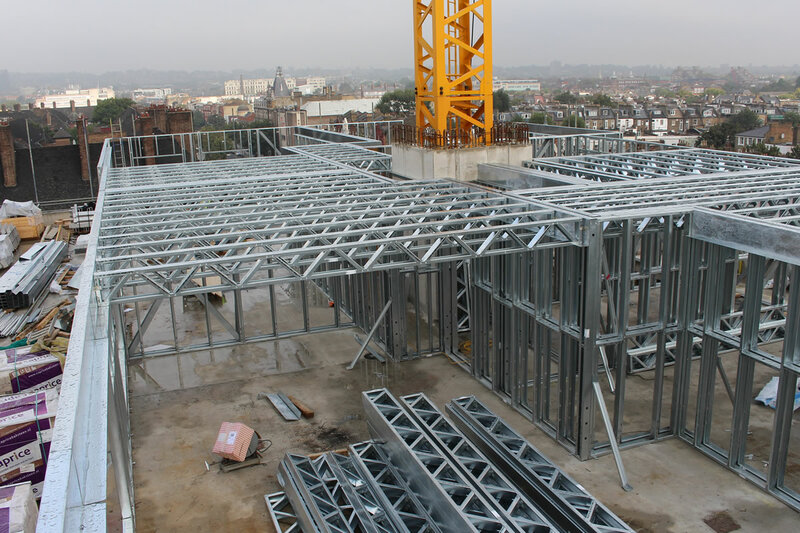 We are also building a load bearing structure (LBS) on the 6th Floor, constructed from pre-formed panels and lattice sections on the roof, these were delivered to site a week earlier. 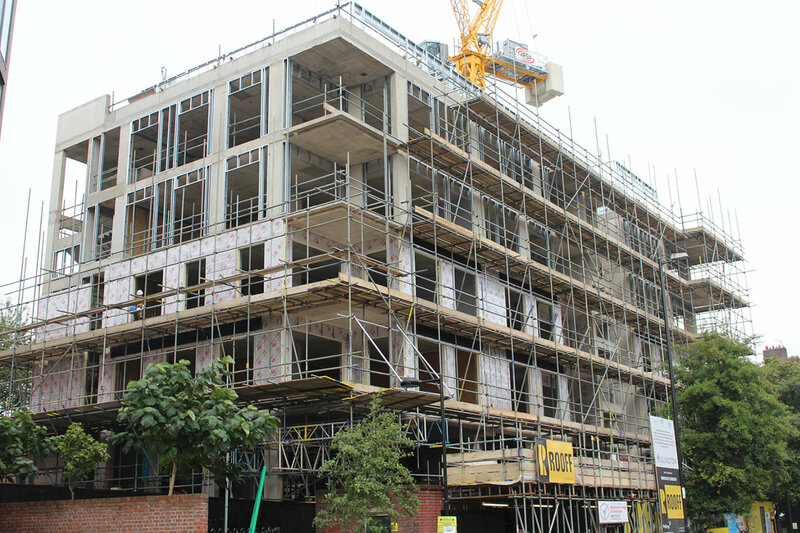 We managed the design process prior to the delivery and once the construction began it was erected and complete within a week, ready for the Insulation (celotex) and brick tie channel to be fitted. 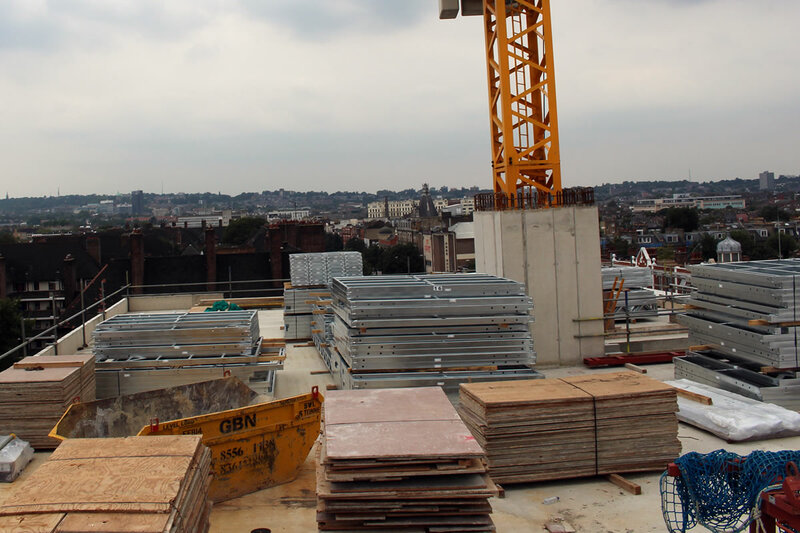 We have also begun to install the party walls between flats and works are underway on the first fix Drylining package.